During my long and painful years as a secondary school pupil, never did I think that the dry mathematical theories could be presented in a way any more engaging than my slightly unhinged Maths Teacher pretending to be Spider-Man whilst ‘climbing’ a wall drawn on his rotating chalk board! Fibonacci sequences were merely another boring pattern to explore. 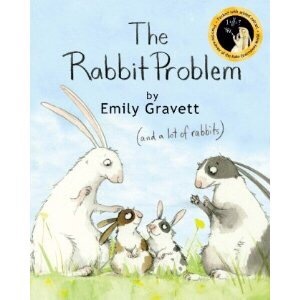 If only Emily Gravett’s wonderful book had been around at the time….I might have started my picture book evangelical church in my teens! 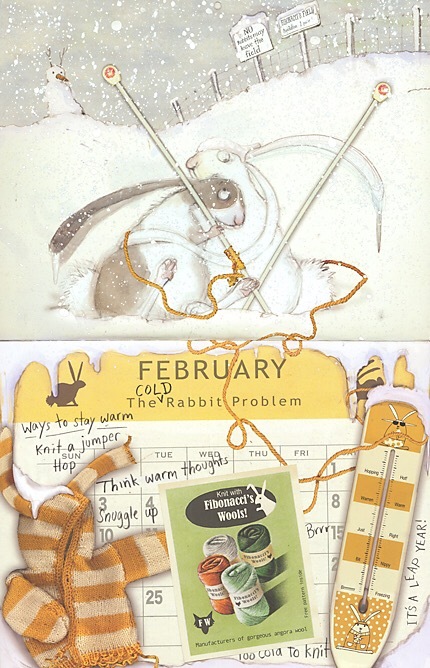 The premise of the book is that a single field is tracked month by month, along with the rapidly replicating numbers of rabbits in this one field….that no rabbits ever leave, unless it is to go to bunny heaven! This is essential the Fibonacci sequence of numbers but presented in a much more accessible and humorous way than the boring maths text books of old. The whole text is presented in the form of a calendar, presenting the funny trials and tribulations of rabbits in an increasingly busy field. 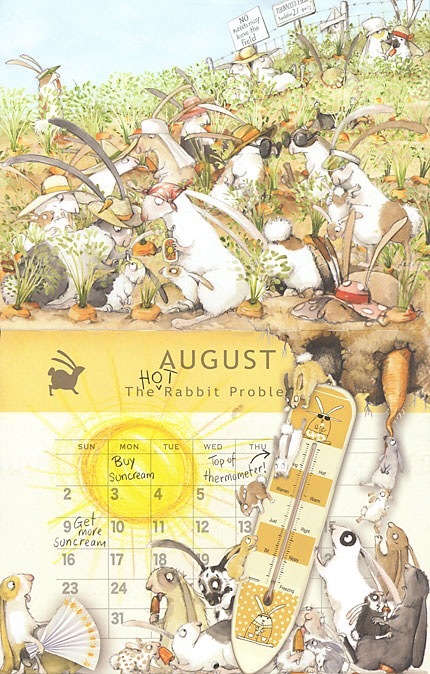 The bunny so behave in a seasonally appropriate manner in each month…sunbathing in summer, seeking warmth in December etc. This provides lots of rich illustrative details for the children to get lost in to help deepen their interaction with the text. In addition to the Fibonacci element of the story, there are also additional mathematical opportunities to explore. For example, there are ‘mini-books’ within the larger text which talk of carrot prices, rationing supplies and costs. This would provide a wonderful context for further work on the budgeting required to feed and clothe an ever expanding family of young rabbits. Furthermore, the book could provide stimulus for some growing activities in the real world. The children could find out about their local wildlife, the favored food sources and habitat requirements. The children could be challenged to create some rabbit friendly (or other furry animal) planting, calculating the cost of the seeds, maintaining their planting patch, harvesting and even selling any produce that the rabbits haven’t claimed as their own! 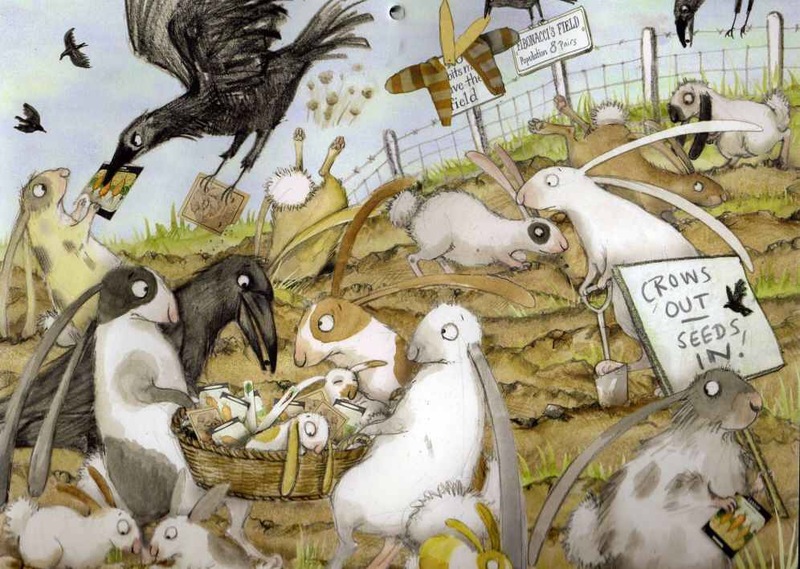 The illustrations could even be used to help structure some narrative writing, where the children take a month each in small groups and tell the story of a single rabbit or a group of friends. This could be a fun writing and illustrati task for a special book week or even World Book Day!